After thirty-three years working at the University of Toronto in various roles that placed him in the forefront of sustainability at the University and the country, Attila Keszei is at a cross-roads. 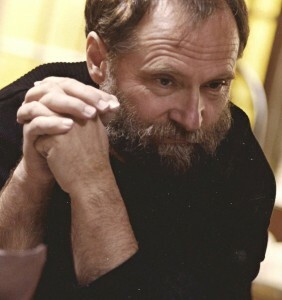 Keszei is an engineer and a painter, sculptor & writer, an activist both in his role at the university and as a concerned artist. The awards (for example the Chancellor’s Award in 2010 and Excellence Through Innovation in 2011) only hint at Attila’s influence & mentorship of the next generation. The entire time of his work at the university, Keszei was also working in several disciplines: sculpture (some wonderful bronzes), ceramic, painting, and installations. At times art rather than sustainability was the medium whereby Keszei sought to make a difference in the world; but –recalling Pablo Picasso, whose big show has recently opened in Toronto–Keszei also can play the more conventional role of artist, including a striking portrait in bronze of the Hungarian patriot poet Faludy. As the door closes at the end of one sort of career, another door opens for the creative artist. At this transitional moment I’ve asked Attila ten questions: five about himself and five more about his upcoming work as an artist engaged with his society. 1) Which of your parents do you resemble (what s your nationality / ethnic background)? Father was coming mainly from a straight Hungarian stock on his mother’s side and from his father s side, my fatherly grandfather who was born in 1867, was a mixed race. I heard on a few occasions from my father that grandfather was born out of wedlock from a Catholic chambermaid and a rich Jewish merchant. Is there a truth to it? I do not know. But I was told that my big nose and my name Klein or Kiss as it was changed to sound more Hungarian came from that branch of the family tree. My mother on the other hand came from a very straight German family line. Her parents were descendent of the seventeen century Schwaben migrant people, her parents family names were Volkesinger and Finster. In the 1930s mother’s father changed his name from Finster to Faskerti to blend in more into the Hungarian society. It was interesting that after the Second World War my motherly grandfather’s two brothers, who did not change their names, were displaced back to, what was then called, West Germany. I think I am like those mixed race dogs. Not pretty or noble but the one which can learn now tricks. So that is what I am, a half-bred. 2) what is the BEST thing / worst thing about being an artist? Let’s face it, art is not a necessity. A baker, cobbler or an engineer always needed. But a painting or worst, a sculpture, are most cases are not the most needed list. The best about creating something tangible is that at that few occasions when some art is getting to someone’s house, get purchased, it must give a real pleasure on an ongoing manner. When I was in the army I had an experience that had a life time effect on me. I was part of sixteen of us, who were sent out to an ammunition depot to protect it. It was a 24 hours duty which was for some solders the most frightening experience. One was out on the post for two hours then he was replaced and went back to the resting area where he has to be on ‘alarm duty’, meaning could not go to sleep for the next two hours. Then after that the next two hours he could sleep until he was awakened to go to replace same other guy on the patrol. I liked to be on those duties. I knew that no Americans would come to steal our few grenades or whatnot hidden in the concrete bunkers, so I was studying the trees, the bees, the ants or simple sad Nature during the daytime and the sky, the Universe during the night. I learned the location of the major constellations and listened the noises of the night. I was day or night dreaming and only by the noises of the replacement soldiers brought me back to the reality to the present. One of this occasions when I was on ‘alert duty’ at 2:00AM in the resting area and was quite tired but I was not allowed to sleep, I had realized that I was listening to the music that was played in the radio. I was half tuned out, kind of half-awoken-half-sleep, in that gray area of consciousness, I felt that the music was pumping in my veins I become aware of the beauty of its sound and harmony. I never in my life before really listened to classical music. I grow up on folk music and the operettas of the forties. The radio, which we had during my childhood, had only two channels and both were controlled by the communist government. Classical music was played quite frequently but I did not hear it, until that moment. The emotional strength of the music had such a strong affect on me that I could not fall asleep when finally I was allowed, I was too alert. Later that day when we went back to the barracks I looked up the radio program and figured it out what could have been that music. It was the New World Symphony by Dvorak. I went to the library where there were a LP player and many LPs and find the vinyl. I put it on and a ‘new world open up’ to me by the ‘New World Symphony’. After that experience I started to go back to the barracks’ library and by the time I got to the University I built up a passion for classical music. When I got into the man’s dormitory my first purchase was a record player. Five years later I left the University with a diploma of “Mechanical Engineer’ and I had close to 100 classical LP in my personal collection. One of my friends asked what was my handicap? He was thinking about the Scottish shepherd game, golf, but I pretended misunderstanding the question and answered: My English! Yes, I would love to be able to express myself better and use the full extend of this beautiful language. 5) When you re just relaxing (and not working) what is your favorite thing to do? I cannot relax in the true meaning of the word. I like to work being that engineering, renovations, painting, sculpting or writing. Reading, as many people consider it as relaxation, is not my approach. I read few books a year but those are usually ‘heavy’ not entertain but rather reference type of publication. So to answer the question my favorite relaxation is working. 1) Having formerly divided yourself between art and your daytime career at the university (as an agent for sustainability), how does your new life (devoting yourself fully to your creative projects as an artist with an activist sensibility) challenge you? I strongly believe, if in the meantime the radiation from Fucoshima will not kill me/us, that I have a few more sculpture that I have to make. It is not because I want to make money but because I have an inner need to express myself and hopefully with that I can add some pleasure or points to think of, to my fellow human beings. 2) what do you love about making art, especially art that has some sort of political message? In my view, the artist’s dedication having been filtered through his emotional and mental make-up dictates his actions, finding expression in literature, painting, sculpting, music and other art forms. This artistic expression becomes fruitful and meaningful only if it has an objective significance for the observer. This is my artistic belief, that guides my work. Now I know that someone may think that I am full of hot air but I feel that with an empty mind no meaningful outcome could be achieved. So the subject matter of my art come from Judeo-Christian religion, the Greek-Roman teaching and the present-day events that surround us. Showing Moses’ anger when he returns from the ‘meeting with God’ or showing Aphrodite/Venus with the golden apple and anxious face, knowing that giving Helena to Paris will not go down without a war, showing the very first moment when the man-made sun lighted up the desert in New-Mexico, the morose face of a blue collar worker when the factory he worked for years/decades close down due to ‘Globalization’ or the peaceful demonstrators’ shocked by the reaction of the establishment. “In Memory of JR Oppenheimer” (1997), raku fired ceramic. 36″H x 72″W x 8″D See also the companion mural: “In Memory of Leo Szilard”. That is the reason that I started a new art form which I call the “Concerned Art”. If you go to my web site you will know what I meant (www.artterrastudio.com). 3) Do you have a favourite piece or type of art that you’ve created? I am with my art as with my children. There is no favorite. All of them are/were a part of me, my thinking, my expressions. Yes, there are some less successful interpretations then the others, but in the eyes of the observers make one work more attractive then the others. 4) How do you relate to the geophysical and geopolitical realities of 2012 as a modern man? If there are intelligent beings ‘out there’ and they look at us, humans, then they can see what pathetic, inferior creatures we are. Because of the color of one’s skin or the religious dogma one is born into, the gender one turns out to be makes us hateful, malicious, non-intelligible beings. We did improve technically but the species did not develop at all. The reptilian part of our brain always take over. Our species’ history continuously repeats itself. It would be easy to say: Gandhi, Einstein, Mother Theresa, Some of the great painters sculptors, like Velasquez, Vermeer, Raphael, Michelangelo, etc. but all of them have some angle that is better left alone. If anything I admire the female gender. All religions are placing the women behind the men and in reality the male species’ reptilian brain is responsible for most, if not all, the problems of our time and in the past. I would hazard a guess; we would not be in such a mess if women would have an equal say in all matters. Maybe even for God it is true that repetition makes better: “The second , modified/improved version of our species – the women – are better”! Attila Keszei continues his work as sculptor, ceramic artist, painter & writer. This entry was posted in Interviews, University life and tagged Attila Keszei, bronze, ceramic, George Faludy, Hungary, Pablo Picasso, raku, sustainability. Bookmark the permalink.